Ephedra (Ephedra sinica), also known as Ma Huang, Chinese ephedra and Chinese Jointfir. This green stemmed herb is native to Central Asia. Ma Huang, as the plant is more commonly known in China, has been used in the East for the treatment of bronchial asthma and related conditions for more than 5,000 years. The therapeutic value of ephedra is due to several closely related alkaloids, of which ephedrine is both the most active and the one present in the largest amount. Ephedrine was researched in the United States during the 1920s and was a standard over-the-counter medication for many years. But as well as its useful effects as nasal decongestant and bronchodilator, ephedra also has the problematic actions of increasing blood pressure and over-stimulating the central nervous system. Latterly, ephedra has been replaced in over the counter cold and cough remedies by related but safer substances, pseudoephedrine and phenylpropanolamine. For several years a number of diet products containing a combination of ephedra and caffeine were available over the counter in the US. These have been much publicised by claims to suppress appetite and speed up weight loss. In 1995, after receiving reports of adverse events, the FDA commenced investigations into ephedra products. By 1996 the FDA had compiled a list detailing over 800 adverse effects including 22 deaths, which they attributed to the ephedra diet products. The FDA proposed to limit ephedra's use in weight management. However, this proposal was withdrawn after being challenged by the industry and congressional investigators on the grounds that the FDA did not have sound scientific evidence to support their position. Based on even more reports of adverse events in the past three years, the FDA has begun a new investigation into the safety of ephedra, the FDA began a new inquiry this August and was ongoing through September. Criticisms are being made, based largely on the fact that the FDA's reporting system for dietary complaint is voluntary and anonymous, laying it open to charges of falsehood or misinformation. In the UK Ephedrine is not currently classified as a controlled substance under the Misuse of Drugs Act, so no penalties apply for possession or use of small amounts. It is illegal to sell Ephedra/Ma Huang over the counter in the UK. Selling ephedrine as an unlicensed preparation would risk prosecution under the Medicines Act. 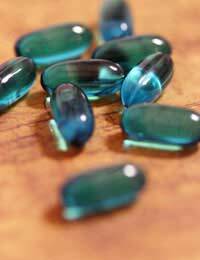 Many herbalists claim that ephedra is safe. The dosage limit guidelines supplied by the American Herbal Products Association (1994), state "Products are not to contain in excess of 25 mg of total ephedrine alkaloids per serving; usage instructions should limit daily consumption to 100 mg of total ephedrine alkaloids." They believe that the adverse effects stem largely from overdose, heightened sensitivity, interaction with other medications, and mixing with caffeine. However, all of these problems are not limited to ephedra but are challenges facing all herbal and nutritional supplements. These concerns could all be made somewhat less problematic with the introduction of supplement labelling. This would eliminate the risk of overdosing and raise awareness of contraindications between herbal and pharmaceutical medicines. Meanwhile, the ephedra controversy continues.